Winter in Slovenia can feel very long, especially when the snow lasts for several months. Then, in springtime, nature suddenly comes alive. When the temperature rises, deciduous trees become green again. Forest flowers emerge, to use the brief interval of light between the end of the winter and the closure of the canopy of trees. 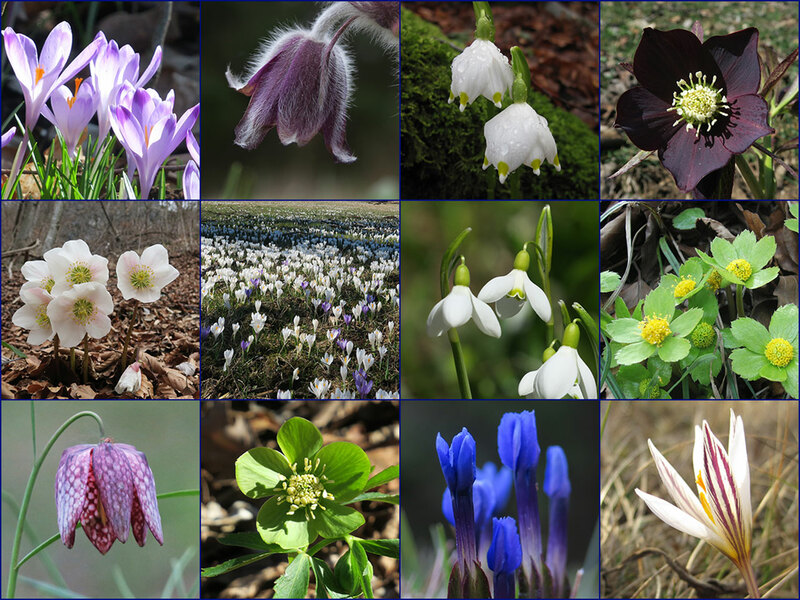 Especially to see these early spring flowers in their natural habitat, we organise this spring flower tour. 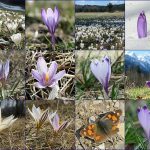 In some meadows, you see thousands of violet and white crocus, which make an incredible display. 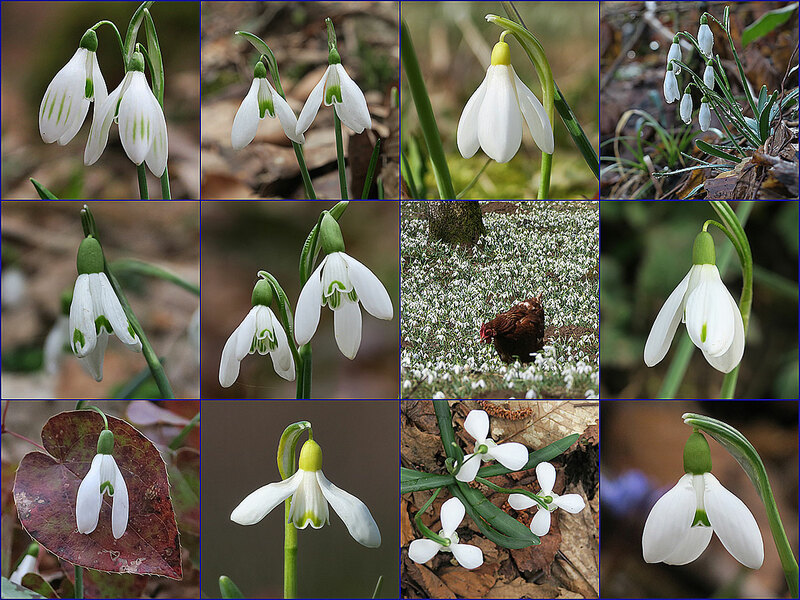 In other places, there are equally many snowdrops and yellow primroses. In the forest, large white Christmas roses open up, and when there are many together, it looks like a scene from a fairytale. In between, we find other, rarer species. 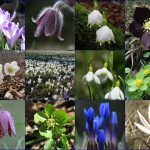 These include the delicately striped Crocus variegatus from the dry karst region and the intense purple Helleborus atrorubens from eastern Slovenia. These colourful flowers attract native Carniolan honeybees, bumblebees and the earliest butterflies. One flower, however, doesn’t stand out at all. European wild ginger, Asarum europeaum, has brownish flowers which it presses close to the ground, where they are hidden between leaves. Here, these remarkable flowers attract tiny ants, which pollinate them. Then, only one or two weeks later, it is all over. The early flowers wane, trees sprout leaves and the grass starts to grow. 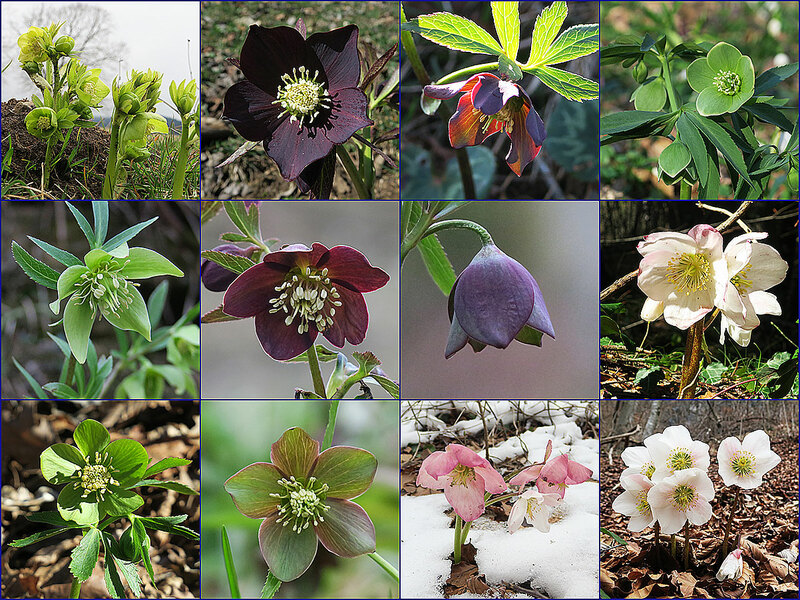 One by one, other plants start flowering, but if we want to see the early spring flowers, we have to wait for another year. Brnik airport near Ljubljana is small, so it is easy to find the luggage and go to the arrival hall. Here, in a place which is just a little bigger than a living room, our guide waits for us. Minutes later, we continue our way in a van, which will be our means of transport for the coming week. 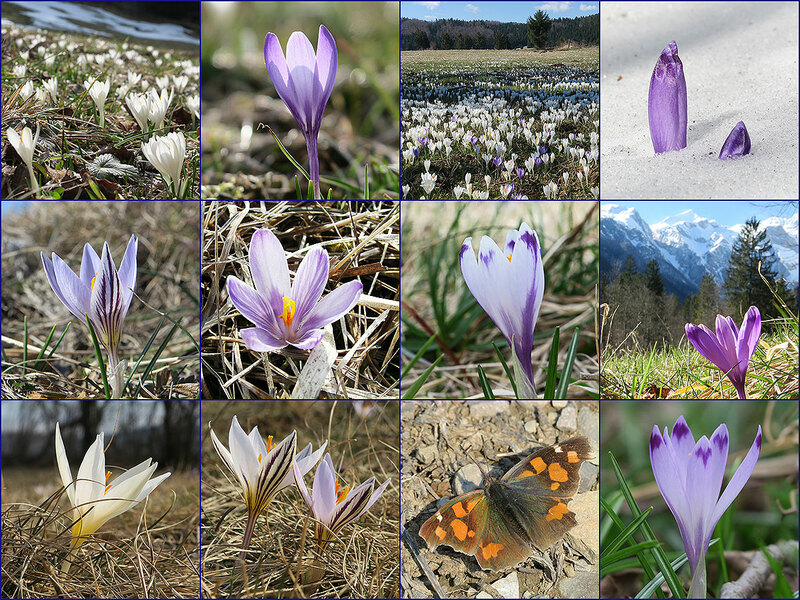 On the way we already see the first spring flowers: violet coloured native Crocus, growing in the woods! We are in the Slovenian Karst, a limestone area where the rivers and streams flow underground. Now, in spring, there is a lot of water underground. So much that the lowest valleys become flooded and change into little lakes. Here, in the Pivka valley, there are 18 of these temporary lakes! 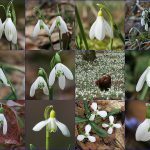 In their surroundings, there are numerous wild snowdrops and white crocus, as well as Istrian Hellebores and Christmas Rose, creating an increadible scenery! We stay in an accommodation underneath the mightly Mount Nanos, and can easily see the limestone cliffs of its slopes. Westwards, these cliffs continue to form the edge of a Karst plateau. This is our destination for today because here is where White and Violet Crocus grow together in amazing numbers. These little flowers turn the meadows into colourful carpets for just a few days in springtime. So, if our timing is right and the season isn’t too early or late, we are in for a real treat! Further along the cliffs, Aurikels may already start to flower as well. They have gone a bit out of fashion as garden plants, but many will know them as a favourite from the Victorian era. Towards the Slovenian coast, Grape Hyacinths appear. There are two species here, Muscary botryoides and M. neglecta. 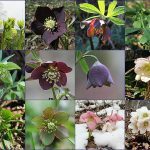 they have a slightly differing flowering time and, because of this, we have a good chance to see at least one of them in full bloom. In warm years (which isn’t possible to predict before), we may also see the first wild orchids when Early Spider Orchids make an appearance in the Olive yards. Today we drive a bit longer, in order to reach a special area in Eastern Slovenia. Here, we are in for a special treat! In a flooded ancient forest, we find wild Fritillaries among thousands of Spring Snowflakes! In some places, the water reflects their beauty, which provides incredible compositions for photography. In the same general region, we head for an entirely different area in search of the darkest Helleborines. Their flowers are such a deep shade of violet that they appear nearly black. It is hard to believe that these beauties are just as natural as the other flowers which we have seen during this trip. If conditions are right, and there isn’t too much snow, we visit one last place. Here, on the very top of a small mountain, we may find one of the best places of the trip. Between Snowdrops and Spring Snowflakes, we find many hundreds of wild Winter aconites! Full of memories we leave this small country. The Spring Flowers here are truly inspirational. But now, we have seen the Slovenian landscape and we have heard about the beauty of early summer. One thing is for sure, we will be back! The price of our custom tours is 995 € per person. This price includes 5 nights accommodation, meals, transport in Slovenia, guiding, transfer between Ljubljana airport and the accommodation. There is a single-room supplement of 95 € per person. Optional additions: transfer from other arrival points like Venice airport. Your guides will be Paul or Jana, who are licensed local guides and naturalists, living in southern Slovenia. They speak English, Slovenian and Dutch. Transfer to and from Ljubljana (Brnik) airport is included in this tour. Please tell us when you arrive at another location or by other transport means so we can help you arrange transport to the meeting point at the accommodation. For groups, we cooperate with several local accommodations which are comparable with Agritourism or a countryside hotel. Dinner is usually served at the accommodation, but in case you stay at our farmhouse “the Dormouse house” we may drive with you to a local farmhouse and eat there. Have you every tried Slovenian štruklji, which are a delicious kind of dumplings, or ajdove zganci, a buckweed-based food – a Slovene staple from the old times? This is an easy tour. During the tour, we will walk slowly and stop many times, but terrain can be difficult, rocky and occasionally steep, without real climbing. Please make sure that you have good hiking shoes and sturdy trousers! While we hope for pleasantly sunny early spring weather, we may get cold wind and occasional showers, please dress accordingly!